Computer And Communications Recyclers, Inc. This is just a tiny sample of our inventory. Due to high turnover of our inventory, the listed items here may or may not still be available. Contact us if you have a need for the items below or similar equipment. 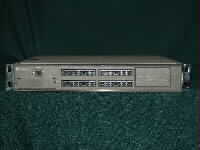 We routinely acquire routers, switches, networking equipment of all kinds, hubs, tape drives and other data storage devices, all types of telecommunications equipment, ISP related equipment, voice boards, test equipment, Computers, and more. Manufacturers include 3Com, Cisco, Northern Telecom, Lucent and many others. Call us at 386-760-9300 to inquire about, sell or purchase used equipment. 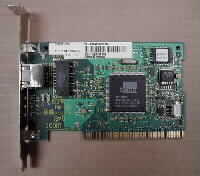 3Com 10/100 PCI Network Interface Card. With Wake On LAN. Lucent MultiDSP 96 Port Line Card. Quantity is available. Comes with 120 day warranty. 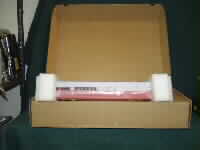 Lucent TNT-SL-48MODV3-S-C. Quantity is available. Comes with 120 day warranty.